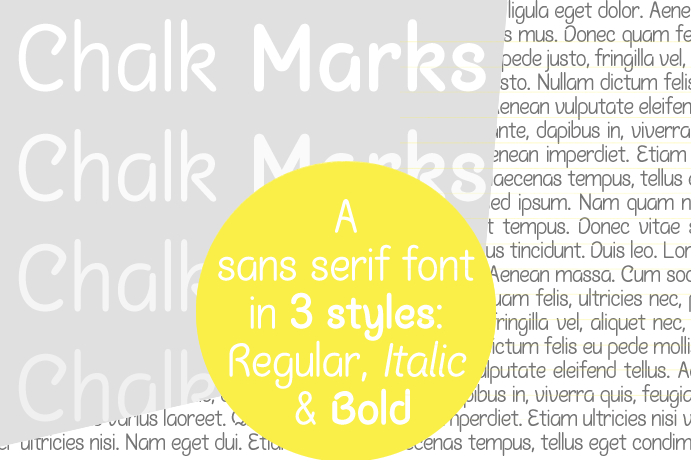 Sans-serif font family in 3 styles: Regular, Italic and Bold. This is a demo version. The complete font includes between 239 glyphs, including: a-z | A-z | 0-9 | accents | punctuation | ligatures & stylistic alternates.